A stork on one leg as well as other birds and flowers, all identifiable, are nearly three dimensional in the intricacy of their embroidery, making this example great visually and tactilely. Maker unknown, but surely a skilled needleworker who work succeeds her more than her a century later. 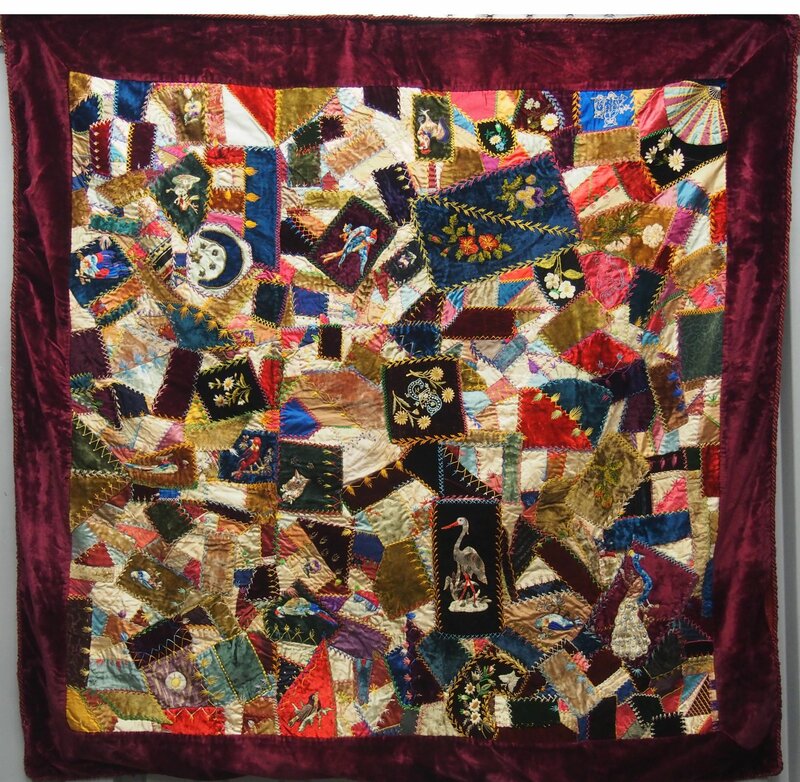 In great condition with a couple of minor frays in the Victorian silk invisible with all the excitement of the intense piecing and imagery.. Fun to study searching for the variety of embroidered motifs that were so sought after in the best of the 'show' quilts of the Victorian era.